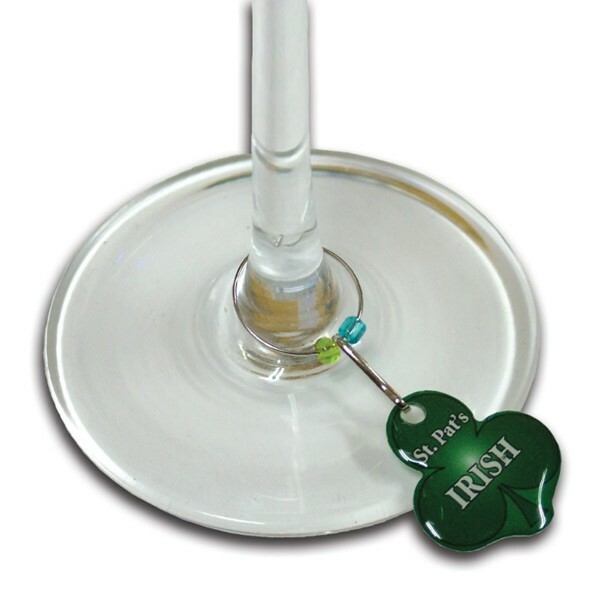 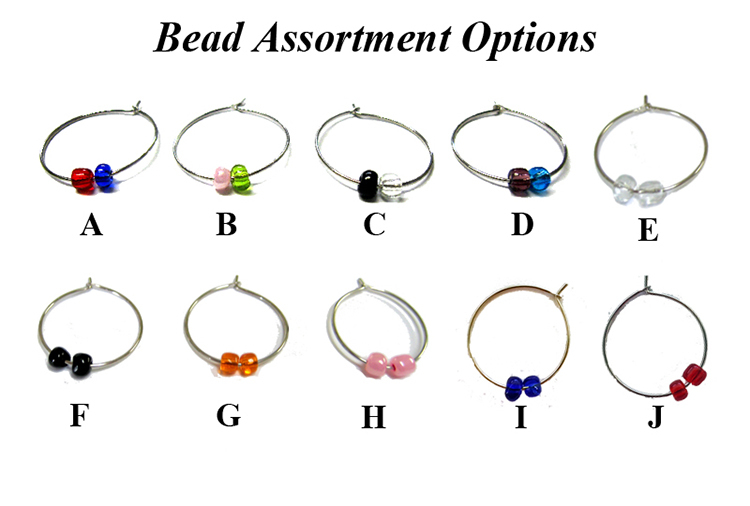 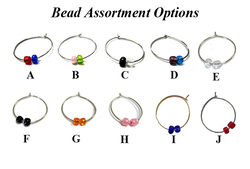 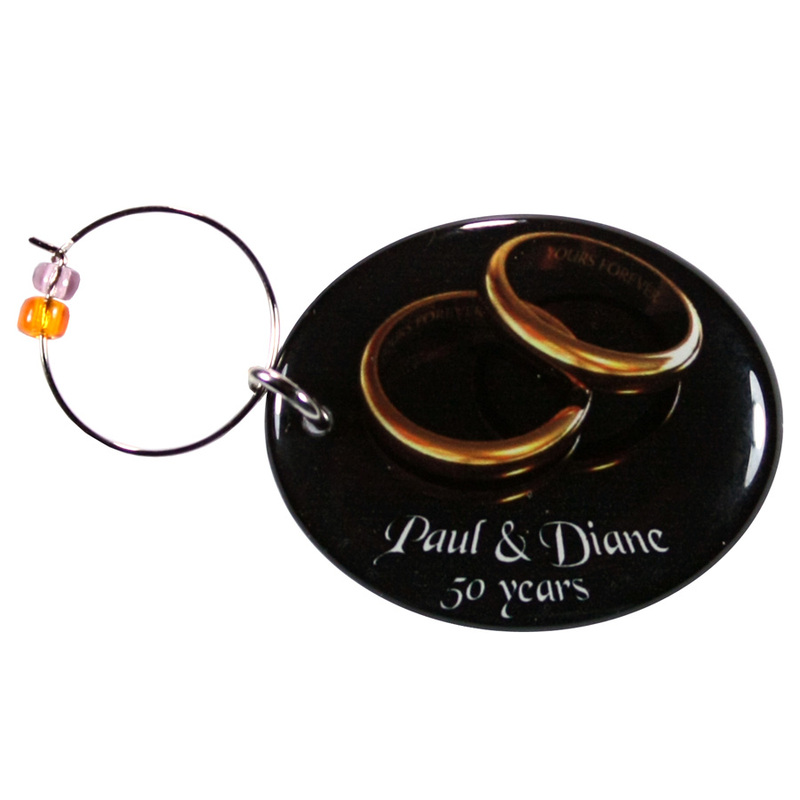 Our wine glass and coffee mug charms have a custom shaped single sided imprint on a premium wire hook for easy attachment to a wine glass stem along with two pre-assorted colorful beads. 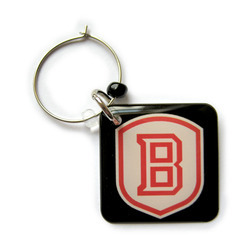 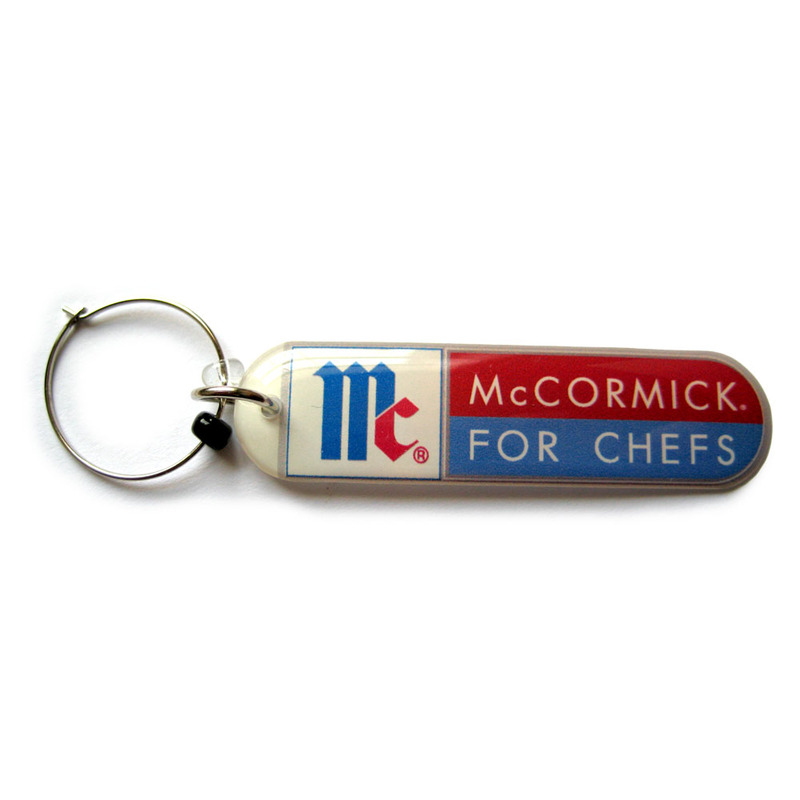 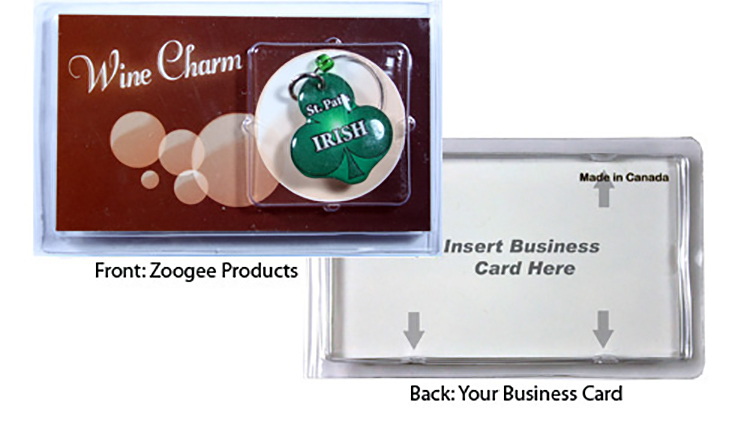 Produced with a full color domed imprint in any shape with no setup or die charges. 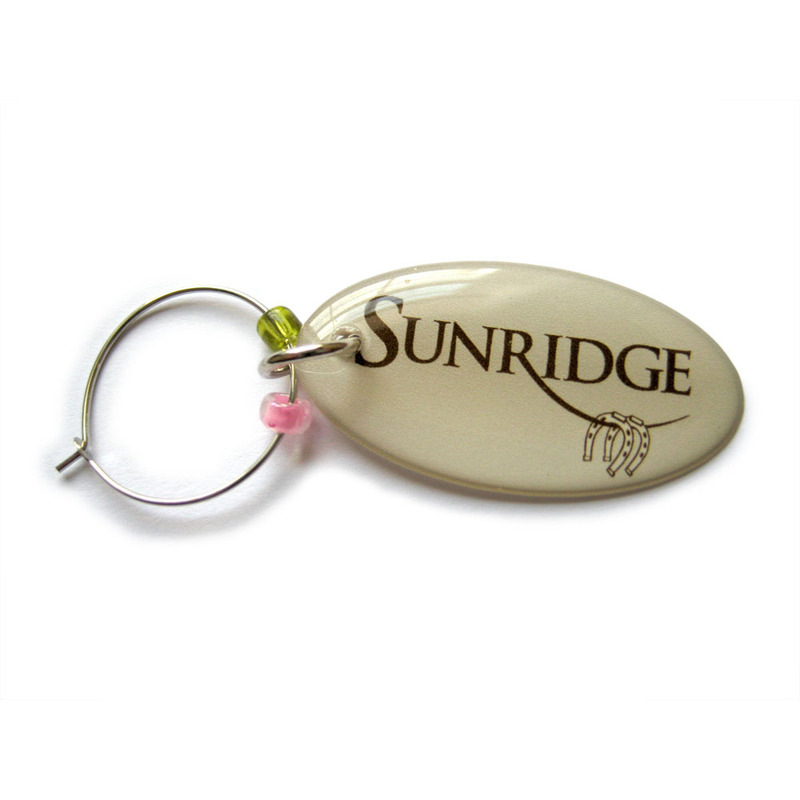 Also available with a translucent imprint embedded inside, and seen from both sides of, the wine glass charm so the imprint will never fade or wear off.